In the most regions it is believed that the clouds are mist that rises from earth or from waters or that is thrown on the nostrils of a tired dragon, which swallows the water from rivers and seas. It is also believed that the clouds are a tissue which can be found at God, in the sky. God lets it down every time he wants to send the rain on the earth. The clouds can also be the ladder on which God descends to see what people do on Earth. According to a more ancient belief, the clouds are the buffalos of the Sun. They carry the water at his court. When the Sun doesn`t give heat thus he doesn`t see them, the buffalos throw some of the water in order to easy their burden. This is the time when it rains on earth. Other beliefs tell that the clouds let down on the waters for drinking. They take the water with them back in the sky, but people don`t see them, as they are a light mist. In the traditional folk beliefs, the master of the clouds varies from region to region. In some regions, he is God, Saint Ilie or Saint Peter. In others, the master of the clouds is a monster named Eortan, which lives in deserted caves. It is most widely believed that the �solomonari� (a kind of wizards) are the ones who command the clouds, while riding the dragons. The movement of the clouds is provoked by the breath of the tired dragon. This way one can know which part the �solomonari� are going to. In the Olt County it is said that the clouds move because they`re attracted by the mountains. In Nasaud region people believe that there are two kinds of clouds: the ones that rise from waters and the ones that rise from forests. These don`t get along and when they meet, they fight throwing lightning bolts one to the other. The clouds which are closer to the earth are called �dark clouds�, �black clouds�, �buffalo clouds� or �rain clouds�. As it is believed they are the revenge of the �solomonari�, are also called "dragons". They are also called �fat clouds�, because they form a huge mass. 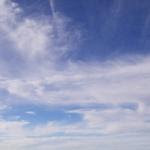 The clouds which are situated higher in the sky are called �white clouds�. They foretell good weather, drought or snowfall. If they are denser, they will bring the hail and if they`re less compact, the snow will fall. The highest clouds foretell good weather and they are called �curly clouds�, �little clouds�, �sheep clouds� or �God�s sheep�. if the clouds let down after the rain, the sky will lighten; but if the clouds go up, there will be bad weather. The same thing will happen when the clouds run on the sky. if the clouds are curly, it won`t rain. In Romanian tradition, the rain can be found under different forms. It is either the water God throws on the earth, either the water which is drunk by the dragons from rivers or seas, either the sweat of the clouds or of the dragons. God let the dragons (Romanian: "balaur", "zmeu") to bring the rains on earth, depending on how bad or good are the humans. The dragon of the rain is a snake which hasn`t bitten anyone for 12 years and which has never seen a human. This snake becomes bigger, gets wings and feet and becomes a dragon. The trees let him pass when he gets out of the wood. He flies to the clouds, where he commands the thunder, the lightning, the rain and the hail. When thunder claps are heard in the sky, it is said that the dragons search the devil in order to kill him. The dragons tell God to kill the mankind by sending the rains, but He is merciful and tells them to wait a little longer. It is also believed that the rain which is good for the earth is sent by God and the one which is harmful (storms, hail) is sent by the �solomonari�. An almighty creature appears in some legends. He is called the �sorb� (in Romanian �a sorbi� means �to drink�). The �sorb� drinks the waters (sometimes he even depletes them) or eats frogs and dragons. This is the explanation for the frog rains. The one who commands this creature is Saint Ilie. According to other beliefs, Saint Ilie walks in a cart which has nails on the wheels, in order not to fall from the sky. These nails drill the sky and the water flows to earth taking the form of the rain. There are a lot of signs which predict the rain, as there are a lot of significations of it. It is said that the rain that starts on Tuesdays or on Saturdays lasts for long, the rain that starts on Mondays lasts for a week and the rain that starts on Thursdays lasts for two weeks. it is said that you call the rain if you pull off the grass using your hands. According to the folk tales, the sunny rain falls when a maiden or an old woman gets pregnant. It is also said that the devil beats his wife or his sons get married. In other variants, the vampire-women or the gypsies get married. The rains that last for long and fall in many regions in the same times appear when someone commits suicide or when a man is killed or when a vampire-woman dies. In order to stop the rain that has lasted for too long, the priests hold liturgy in church, they ring the bells or they throw the main icon of the church in a well . It is also said that one can stop the rain with a rod which he used first for taking a frog out of a snake`s mouth. One can also stop the rain by sticking an axe in the courtyard. For calling the rain there`s the old tradition of the �paparude�. This ritual for calling the rain by dance and invocations was practiced on feasts. In the past maidens and lads, gipsy-women and gipsy children took part at it. After 1990 this ritual has only been practiced by children and it has begun to become a simple game. A man is chosen to play the �Paparuda�. He is undressed and bathed in water, being then dressed with green leaves. He also has a wreath of leaves on the head. The Paparuda is accompanied by people and it`s taken either to the wells from the village, either to the people�s houses. There it is splattered with water, whey or milk. In some areas, flour is bolted above its head, in order that the rain should be as dense as the flour that flows through the sieve. Another ancient magic ritual used in controlling the rain is the �Caloian�. It is used either for stopping the drought, either for bringing back the good weather. The young girls make several dolls. The most important of them are �the Father of the Sun� or �the Mother of the Rain�, depending on the purpose of the �Caloian�. The doll representing the drought or the rain is buried, following the usual ceremony of the peasant burial. After one or three days (depending on the region), the doll is unburied and it has now the opposite meaning. In the folk mentality, the lightning and the thunder are acts of punishment and revenge of superhuman creatures. In some places it is believed that the lightning appears when the dragons from the clouds fight. Yet the most common beliefs are related to God and Saint Ilie. 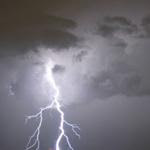 The lightning is the candle that God lights in order to search the devils or the evil spirits. The lightning can also appear when God, Saint Peter or Saint Ilie light their pipe. In the most regions it is believed that Saint Ilie commands the lightening and the thunders and uses them for striking the devils or when he`s mad on humans because he lost his sheepskin coat. When there are lightens, humans must cross himself three times in order that the devil should run away from him and he should not be struck. The wind appears either as a friend of humans, either as an evil spirit. He is also known as a handsome young man, who is God`s emissary. He can also be a big dragon that blows only on one nostril, for not destroying the Earth or a huge man with nine nostrils, on which he blows on turn. Among the wide variety of beliefs there are also the ones that present the wind as a blind lad, who was cursed by his parents to barge into everything that is in his way or as a powerful man, cursed by God to cool the earth with his blow, as a big snake, as a saint, as a child or as an old man who begins to blow when he is angry. The wind can`t be seen by humans because the transparent skin of the onion, of the garlic or of the eggs they ate lays on their eyes and doesn`t let them see him. The winds are either four, for every cardinal point, either twelve, for each month of the year. It is said that on the wings of the wind the dragons or the souls of the dead travel to the Heaven or to the Hell. Peasants think that the hail is the rain frozen by the breath of the dragons. The �solomonari�, God, Saint Ilie or Saint Peter command the hail. The signs that predict it are the heat, when there`s silence in the air, or the moments when the bulls or the rams fight. For stopping the hail, the peasants ring the bells, light incense in the middle of the courtyard, stick an iron object in the ground or light the Easter candle. It is said that if Saint Nicholas doesn`t find the earth white on his birthday, than he shakes his beard because it must be snow on Saint Nicholas day and on Christmas. there are lightnings in the winter time. The first day on which it snows must be remembered. In this day the pumpkins must be seeded, in order to grow big and healthy.